ProBlog Professional Blogging Theme Download: ProBlog is a professional Blogging theme from Magazine3. 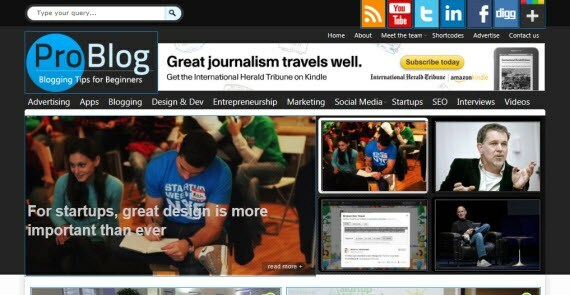 Every element of this theme is well crafted and makes your site look like Web 3.0 Blogs. ProBlog theme takes your website to whole new level and you get maximum exposure to the blog posts. The Best SEO Options! – Integrated with Joost de Valk’s ‘WordPress SEO’ by default. Whether it’s Title settings, Sitemaps, Permalinks, Indexation or RSS; You got it! This is a Blogger’s Best Friend!